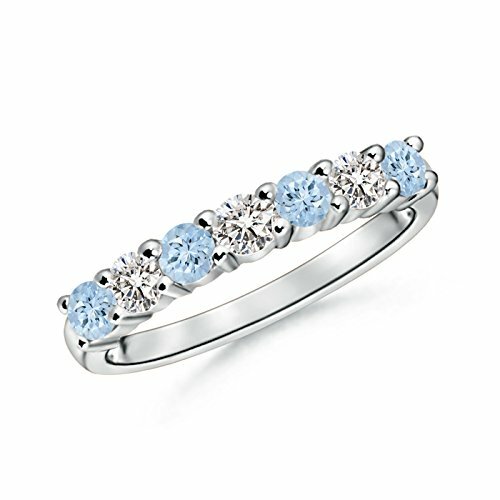 Sparkling round aquamarines and diamonds adorn the glistening band in a half eternity. They are held in a prong setting and arranged in an alternating pattern. This 7 stone aquamarine and diamond band is crafted in 14k white gold.